West Stonebridge is a smaller community of holiday homes conveniently located in Davenport, Florida. This quiet neighborhood has 73 homes- all with private pools with screened in lanais to keep those pesky flies and mosquitoes. The community has been well-laid out for the holiday maker and have about half of its homes with south facing pools. For our winter guests, this a much sought after amenity. Homes in this community range from 3-5 bedrooms and all have at least 2 bathrooms for your convenience. Most homes will have an additional bathroom in the pool area. 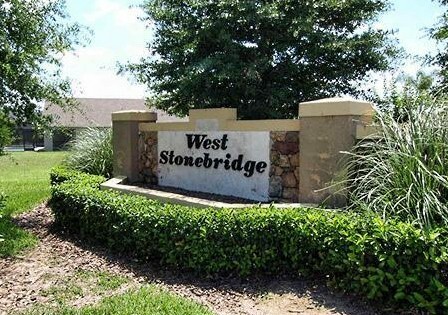 West Stonebridge is just 14 miles from Disneys entrance and only 25 minutes from Universal and Sea World theme parks. Shopping, golf and dining are all within walking or driving distance or your villa.